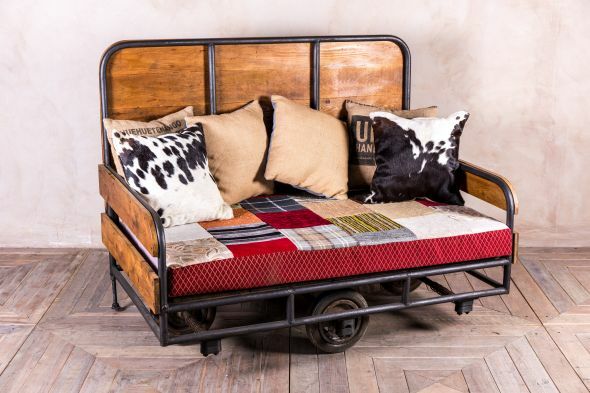 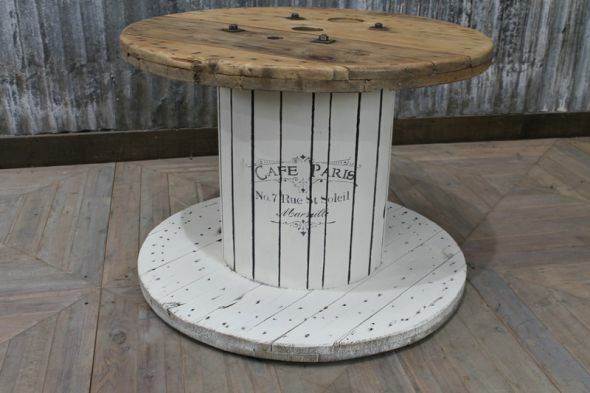 This wooden cable drum table is a great piece of upcycled furniture. 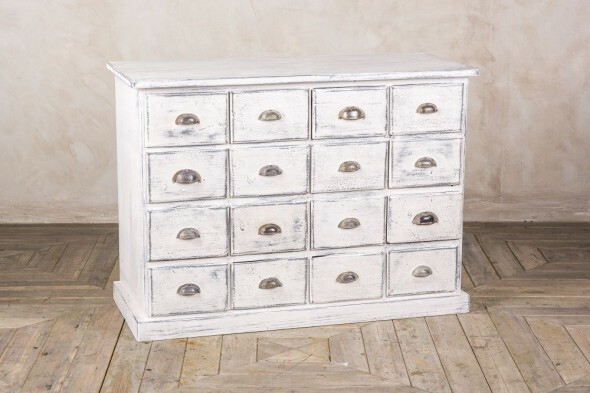 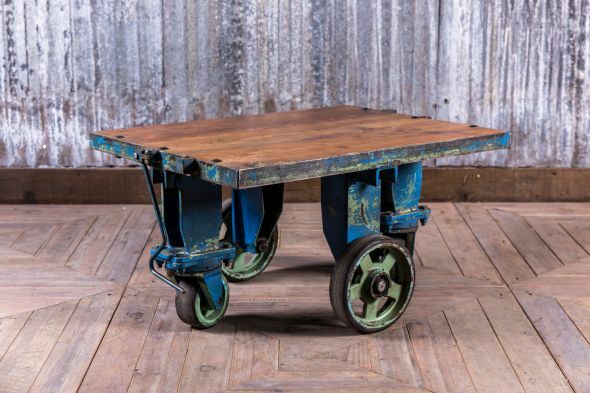 With its lovely shabby chic appearance, this table would suit any coffee shop, cafe or pub. 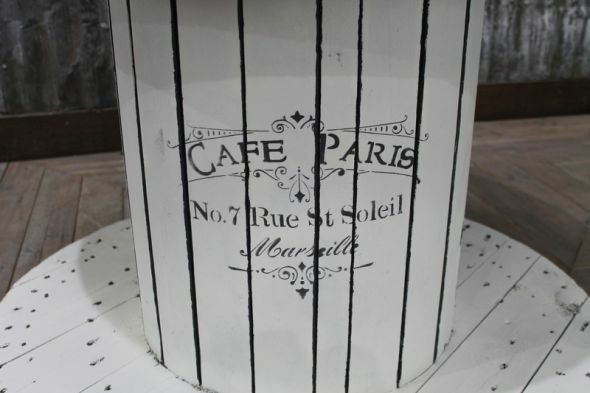 The table has white paintwork to the base with French inspired lettering – which gives it a vintage Parisian appearance. 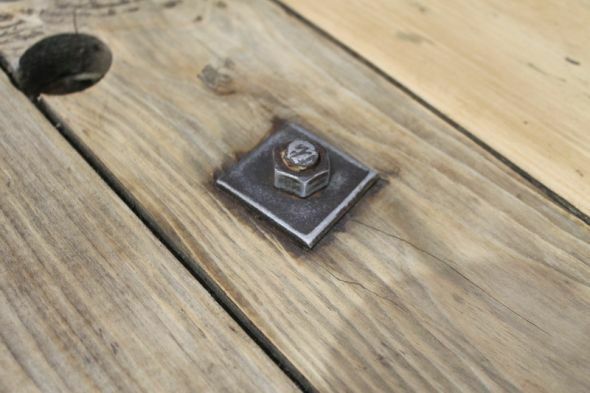 Metal bolts to the top of the table add an industrial look, which is very much sought after at the moment. 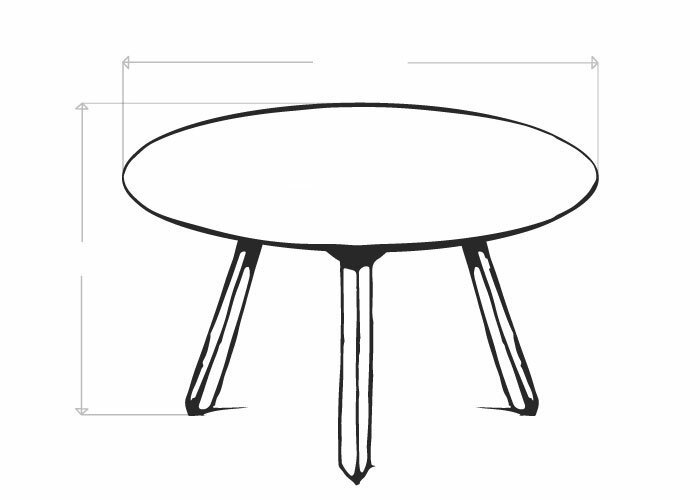 Please note that the price is for the table only. 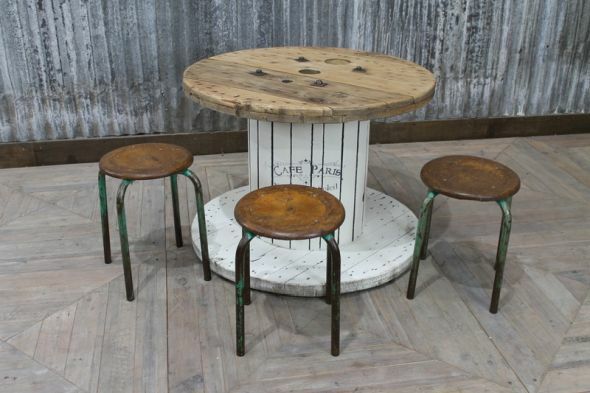 We have a range of new and vintage seating available that would complement this table; see the full collection on our website or in our showroom. 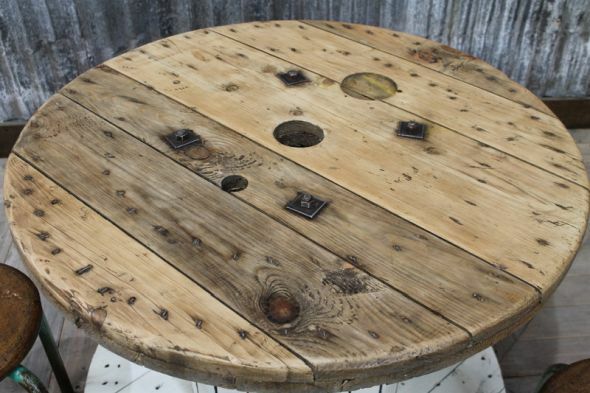 Although this table is in good condition, it is a vintage item and will have some marks, notches and signs of general wear and tear – this only adds to its rustic charm and character.